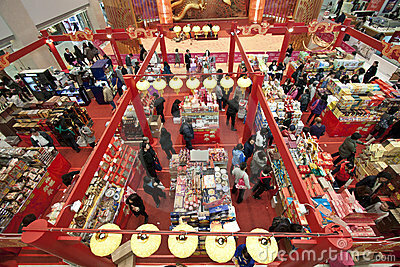 Hello everyone, how has your CNY preparations been coming along? Like most Chinese families, the few quintessential delicacies for the Lunar New Year celebrations such as Abalone, Shark's fin and Birds' Nest are definitely a hit with the elder generation and a not-to-be-missed in my family. Especially for birds' nest, with so many different types and brands out in the market, how do you know which to choose? A premium birds' nest with a difference; what sets it apart from other is that it's bottled bird’s nest is produced from pure house nest (bird’s nest cultivated in house farm). Its uses a revolutionary PRIII brewing technology, that sterilizes the bird nest at a high temperature without damaging the integrity nor shape, thus delivering a standard of purity and quality that is in a league of its own. I also liked the fact that Puvay uses House Nest rather than the regular Cave Nest, meaning that nests are built in wooden-roofed swallow house rather than in caves. Contrary to popular belief, the swallows are not captured and restricted but rather, they are free to come and go as they please. The environments are well controlled and replicates conditions of the natural bird's nest habitat. House nests are chosen as its much cleaner than the cave nest and has an intact boat or spoon shape, as you see in the article above. Puvay's meticulous research has lead to defined versions to suit each person's individual needs rather than a one-type-fits-all product. What I'm being sponsored today are 3 different types; namely the Puvay Petit Twin (classic rock sugar) , Puvay Beaute and Puvay Detox. Like every beauty concious girl out there, I am constantly on the prowl for products that contains collagen to boost my complexion and fight anti-ageing. Puvay Beaute is pumped with a whopping 3000mg of collagen, which helps improve skin suppleness and boosting healthy hair, nails and hair production. Collagen is also known to encourage natural tissue regeneration, so kiss saggy-ness good bye! Taste: Its has a lightly sweet taste, and the birds nest shreds are more very soft, smooth jelly-like in texture so its goes down very easily, whether you choose to drink it whole or chew it and enjoy the full taste. The pieces are almost translucent in colour, and reminded me of the Ai-yu jelly toppings I usually have with my Gongcha bubble tea! Thanks to a rather unhealthy diet and a weakness for all things fried/spicy, I sometimes suffer from bouts of indigestion. The Puvay Detox contains a soluble fibre known as Inulin, which helps to increase calcium absorption while promoting the growth of healthy intestinal bacteria (prebiotic) - the type you find in Yakult. Taste: Surprisingly, I liked this better. The shreds are abit more rougher, longer and sinewy in texture, giving a more "QQ" feel as you bite down. The taste of the rock sugar was more toned down, making it less sweet (the way I like it) so its refreshing and rather chewy to consume. The color of it differs as well, its a darker brown-ish tone as compared to the Beaute and Classic. If you like you bird's nest no frills and simple, then the classic is the one for you. Traditionally, birds' nest has been believed to have major health benefits like enhancing complexion, anti-aging properties, boosting metabolism and blood circulation, as well as nourishing lungs and spleen and fortifying one's immunity. Furthermore, it also aids healing in chronic stomach or chronic lung problems and chicken pox in children. Taste: This one tasted closer to the Beaute one, with normal sweetness level of rock sugar. The birds nest pieces I felt, were slightly finer than the Beaute one, and you could feel the wispy fibres as you chew it. I'd say this was the medium between the Beaute and the Detox. Here are some awesome ways to enjoy that special bottle of Puvay! A) An exclusive offer for my lovely readers, do save or print this e-coupon below and produce it upon purchase at its Albert Centre pop-up store, click here for more details and fantastic deals! Puvay is currently located at 270 Queen Street, #03-25/26 S180270 Albert Centre store. Do read T&Cs first for more info! B) I'd love for you to try the Puvay goodness as well and so I'm giving away this Puvay Bottled Birds Nest Grand (140g) worth $68 to a special reader. 3) Tell me why you'd like to win! Then, tag as many friends as you like in the facebook comment section! 4) Contest ends on 31 January 2014. Winners will be randomly chosen.